Fifty years ago, the first Swiss watch travelled to space on the wrist of astronaut John Glenn. 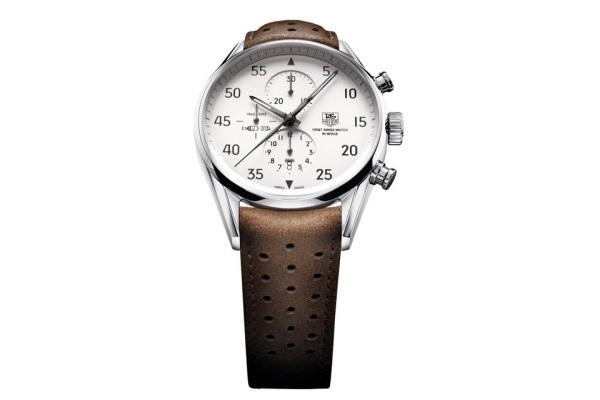 The men’s Calibre 1887 Space X watch from the Tag Heuer Carrera collection was created to commemorate this momentous event. A true gem, this watch has several fascinating details: date at 6 o’clock, scratchproof, anti-reflective sapphire caseback and more. It counts the minutes, hours, and seconds at 9 o’clock and has two chronographs for the minutes and hours. A true work of art and only 2012 copies available!